Congratulations to these Department of Leadership, Educational Psychology and Foundations alumni! Tony Baker, Ed.S. 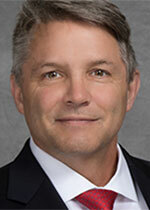 Educational Administration,’17, became superintendent of Plano School District 88 on July 1. 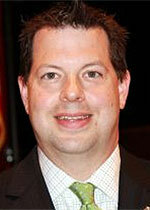 Baker had worked as in the district since 2000, beginning as a sixth-grade teacher of language arts and social studies at Plano Middle School. He later served as dean of students and athletic director at Plano Middle School, and was promoted to principal at Emily G. Johns School when the school opened in 2007. Todd Drafall, M.S.Ed. School Business Management, ’00, joined the Downers Grove Grade School District 58 administrative team as assistant superintendent for business and chief school business July 1. Jim Fitton, M.S.Ed. School Business Management, ’10, began work July 1 as the new business manager of Riverside Elementary School District 96. Fitton previously worked as director of business services and facilities at the Northern Suburban Special Education District in Highland Park. His career in school finance working as the business manager for Golf School District 97, a two-school district in Morton Grove. Chris Grode, Ed.S. Educational Administration,’03, was named the 2018 Superintendent of Distinction by colleagues in the Egyptian Region of the Illinois Association of School Administrators. Grode is superintendent of Murphysboro Community Unit School District 186. His nominators made special notation of his many accomplishments in the school district during his tenure, including supporting the recently passed county facility sales tax and realigning two elementary schools into attendance centers. Damon Hackett, M.S.Ed. School Business Management, ’14, was named assistant superintendent and chief school business official of Dunlap Community Unit School District 323 in Peoria. Hackett previously worked as assistant superintendent of business services at East Peoria Community High School District, where he was worked since 2010. He also was business manager at Eastlight Theatre in East Peoria, coached the East Peoria speech team and served as director of the school musical. Paul Hertel, M.S.Ed. 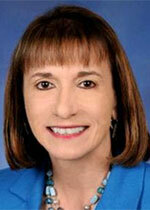 Educational Administration, ’90, was named superintendent of Des Plaines Elementary School District 62. 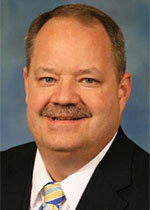 Hertel joined District 62 in 2006 as the human resources director and was named assistant superintendent a year later. During that time, he spearheaded negotiations with labor groups and helped oversee a $109 million district renovation. Before becoming an administrator, Hertel spent 19 years as a third- and sixth-grade teacher in Elgin Area School District U-46. Rose Labriola, Ed.D. Adult and Continuing Education, ’98, was named Chief Nursing Officer (CNO) of University of Maryland St. Joseph Medical Center in May. Labriola, who had served as the interim CNO since February, is an advocate for quality controls and patient safety. Her responsibilities over the years have included nursing and hospital operations, advanced practice nursing, clinics and nursing administration, home health, hospice, case management and quality care initiatives. She is a board-certified Nurse Executive Advanced. 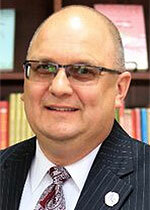 Lawrence P. Piatek Jr., M.S.Ed. 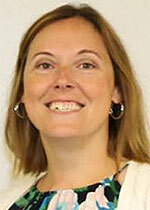 School Business Management, ’16, was named principal of Churchill Elementary School in Oswego. Piatek had served as the principal at Orenic Intermediate School in Troy School District 30c in Plainfield since 2013. Prior to that, he was an elementary school principal for five years in Lombard. 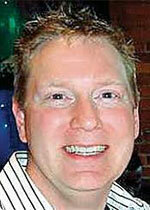 He began his education career in 1995 as a middle school social studies teacher. Krystal Rasmussen, M.S.Ed. Educational Administration, ’11, as named principal of Lynne Thigpen Elementary in Joliet Public Schools District 86. Most recently serving as the assistant principal of curriculum at Plano High School for the last three years, she has worked in education for 14 years, including three years in Rockford School District 205 as the HS Academy principal. Rasmussen also earned an M.S.Ed. Curriculum and Instruction in 2009 from the NIU Department of Curriculum and Instruction. Dean Romano, M.S.Ed. School Business Management, ’06, began work July 1 as assistant superintendent of Business Services at Geneva Community Unit School District 304. 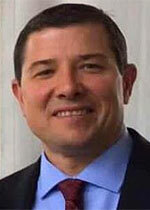 Romano previously worked as the Chief Operating Officer for Yorkville CUSD 115. 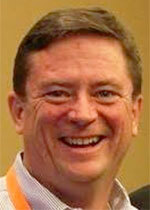 He alsoy serves as a director for the Illinois Association of School Business Officials (IASBO) Board of Directors, and previously served as president of the South West Association of School Business Officials. Jeffrey Ryder, M.S.Ed. School Business Management, ’15, began work in July as the assistant superintendent of finance for East Aurora School District 131. 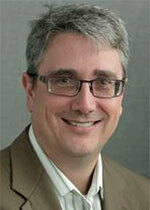 Ryder previously served as director of finance in Oswego-based Community Unit School District 308. 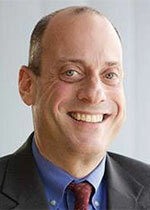 Marc Schaffer, Ed.S. Educational Administration, ’06, and Ed.D. 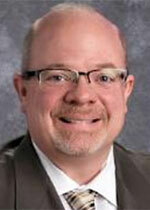 Educational Administration, ’09, is the new superintendent of the Thompson School District in Loveland, Colo. 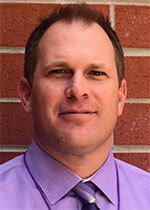 He previously served as an assistant superintendent in the Boulder Valley Schools of Colorado. Schaffer’s diverse career in education includes teaching and serving as dean of students, assistant principal and principal before moving to director of middle school education and assistant superintendent roles. His first teaching job was in fifth- and sixth-grades in Bullhead City, Ariz. He also worked in school districts in Illinois. Schaffer also earned an M.S.Ed. Curriculum and Instruction from the NIU College of Education in 1996. Rick Schmitt, M.S.Ed. Educational Administration, ’89, and Ed.S. Educational Administration, ’98, was named a 2018 Superintendent of Distinction through the Illinois Association of School Administrators. Schmitt, superintendent of Sandwich School District 430, has been an educator for 34 years; around 75 percent of that time has been spent in the Sandwich schools. He was also an assistant principal and principal at Sandwich High School before becoming superintendent. Christi S. Tyler, M.S.Ed. School Business Management, ’08, began work July 1 as chief financial officer for Oswego Community Unit School District 308. Tyler previously served as interim assistant superintendent for business at Homer CCSD 33c, where she oversaw all functions of the business office, including: budget and levy preparations, payroll and benefits, purchasing and bidding, general ledger and accounts payable, board and state reporting and account codes. She has also had the responsibility for overseeing the operations department, including: building and grounds, custodial and maintenance staff. 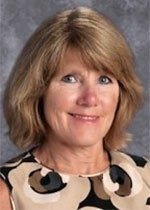 She also has worked for the East and West Aurora School Districts. If you’re an LEPF grad with news to share, please let us know – and send a photo! Our email address is NIUCOEalum@niu.edu.